12 Irresistible Sales Email Subject Lines: Can You Spot A Pattern? 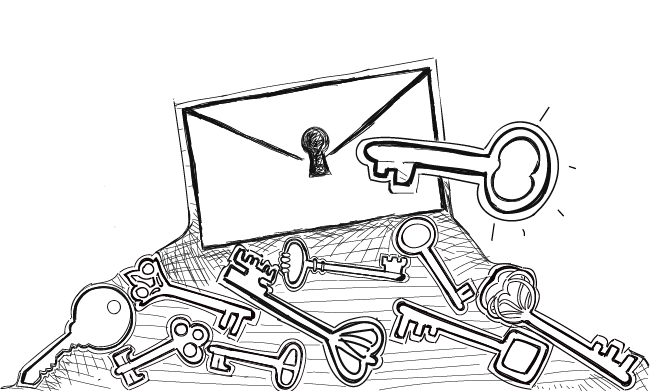 We always say that the cold email subject line is like a key to a door. Today, I present to you examples of high-performing subject lines to get you inspired. Those are not here for you to copy and paste into the cold email campaign that you’re creating. But there is something for you. 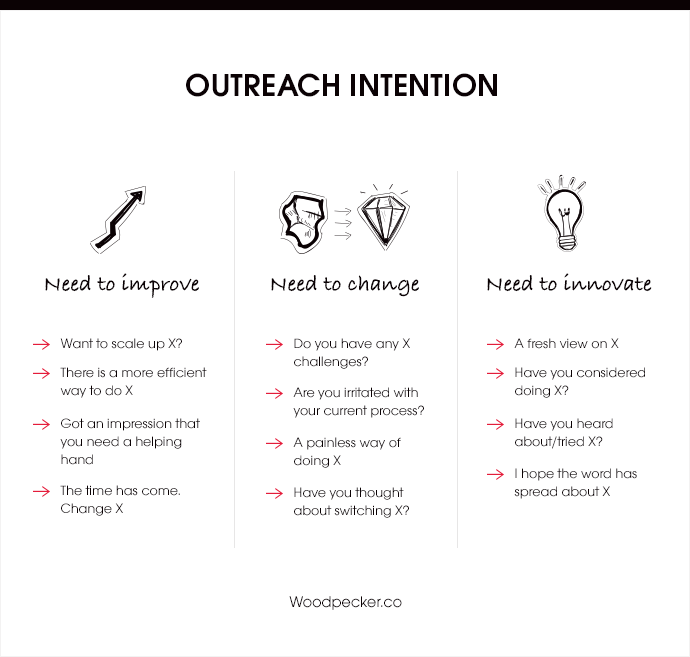 We analyzed those subject lines at Woodpecker and uncovered a really interesting thing that may help you. Keep on reading to find out what it is. Why the email subject line is important? The subject line is one of the few things, if not the most important one, prospects judge your emails by. It’s one of the first things that pops up when they open their mailbox. It’s the thing that makes them open and read the rest of the message. What’s the winning subject line formula? A good sales email subject line is a tough nut to crack. With all that in mind, how should you approach writing a subject line? We analyzed dozens of subject lines and identified the most promising ones. But we didn’t stop there. We challenged ourselves to go one step further. We decided to group the subject lines to uncover the pattern behind their effectiveness. And we did. Here it goes — the most successful subject lines appealed to the needs that prospects may have been experiencing in their businesses. What’s great about focusing on needs when crafting a subject line? By focusing on our prospect’s needs, you catch the prospect’s attention (the first principle of a good subject line — checked). But that’s not all. Remember how important giving value is? A subject line that focuses on needs is already promising value that the prospect can get from the email. We should always define the value our prospect can get from replying back to us. And throwing prospect’s needs in the equation may be exactly what we need to make them open and read our email. What kind of needs did we discover? There are three sets of needs that we discovered. But before we examine them, let’s look at the bare list of email subject lines examples. Maybe you will be able to spot the needs by yourself. Want to scale up X? Have you considered doing X? Do you have any X challenges? Have you heard about/tried X? Are you irritated with your current process? Have you thought about switching X? As you can see, those subject lines are pretty vague. Since they are so, they pique the addressee’s interest. They invite the addressee to read more. Yet they don’t overpromise. You can’t see any numbers, signs or expressions connected to money that would trigger SPAM filters. So what are the three needs I was talking about? After trying to define why those subject lines met with success, we identified three need patterns. Can you see it now? Here’s a graphic to visualize it. We don’t recommend copying those email subject lines 100%. As you know, anything that’s on the Internet has probably been used thousands of times. Think about the way you can incorporate the strategy of focusing on the needs of the prospect. How to do it? Take a look at your Ideal Customer Profile. What those people work on every day? Can you see some bottlenecks that your solution can help with? Are they frustrated with their current workflow? Do they need to change something? Are they ready to do it? How does your offering fit into this? Those are all the questions you need to ask yourself before you can work on your email copy. You don’t need to get specific. Start from an outline. Now that you have a narrow view on the concerns of your ICPs, take a step back and extract general needs. I must admit, it does sound a bit complicated. But it’s not. Just follow this. Take a look at my subject lines examples once again. As you can see, the needs that I put there are very general. And they touch the journey from a current not-so-cool state into a way brighter future. Do you see the adjectives in the subject line examples I gave you? Let’s look at them. There’s painless, fresh, efficient… Do these words evoke some emotions in you? I hope so. And I hope those emotions are positive. So here goes my piece of advice — imbue general needs you found with positive emotions. Paint a picture of carefree cooperation. How does it sound to you? Well… I explored the power of question somewhere else on this blog. The thing with questions is that they make your brain actively trying to find an answer to that questions. You cannot control it. It’s automatic. Guess for whom it’s also automatic. For your prospects, of course. Put a question in the subject line and fire up your prospect’s brain. Isn’t that simple? The subject line is here to grasp attention and give a general idea what’s inside the message. So there you have it. Avoid writing too much. Grasp their attention. Make them want to read more. The best way to test if you found the best subject line is to ask your colleagues for a verdict. But don’t compromise on relevancy. Relevancy doesn’t mean putting their name in the subject line. Actually, you don’t need to put any snippets in the subject line providing you have personalized inside the copy. The shorter a subject line is, the better. The subject line is important. It’s how you build the first impression. It makes your prospect open your email or put it to the trash. Leverage it in your favor. I hope our revised approach to subject lines will be useful to you. And if you scribble a nice subject line, follow this up with a blog post about cold email introduction. Mary is a Content Marketing Specialist at Woodpecker. Because of her inquisitive nature and curiosity for the surrounding world, she quickly became our Quora expert. Each time you log onto Twitter or LinkedIn, you can notice she’s always online and up to date with the newest marketing trends.